SiteGround has started their journey in web hosting industry in 2004. Since then they have added a lot of ammo in their arsenal. Even though they have begun with only web hosting service, now they have extended their service to domain registration too. They have been offering all kinds of web hosting services ranging from shared hosting to different custom-made enterprise hosting. Among them, cloud hosting is one of the most popular ones. In case, you are seeking for a review of SiteGround cloud hosting, you are at the right place at the right time. Today, we are going to do a thorough review of SiteGround cloud hosting. For you, we will try to make sense of the worthiness of the cloud hosting service by SiteGround. Soon you will be able to come to the resolution whether you are going to choose SiteGround cloud hosting or not. So, if you are enthusiastic about this. Let’s dive right in. First of all, let’s learn about Cloud Hosting. Most of you might know all about cloud hosting, but for our readers’ convenience, we will give a rundown about cloud hosting here. Normally, when we hear the words ‘hosting’, ‘server’, we think of a single server hosting/storing your website’s data in it. In this case, that server is a physical server. But, in the case of cloud hosting, the server/s is usually not a physical server. For cloud hosting, the hosting provider will use multiple physical servers to create a network of them. And out of those networks, they will create a core server (cloud server) which will draw the data, power, and resources from all of those physical servers simultaneously. So, in short, you are not dependent on the performance of a single server anymore. Rather, you’re getting all the help from multiple servers at the same time. And, most importantly, you can increase or decrease resources like the CPU cores, RAM, Storage space etc. from that network depending on your needs. Eventually, you can access the data of your website from multiple servers. So, it won’t matter if one of those servers is down. Your website will be up in that period. In a nutshell, cloud hosting is fully flexible and auto-scalable. So, you can change what you like or don’t like on the fly without affecting your website’s performance. Now that you have got an idea about cloud hosting, let’s look into the cloud hosting plans of SiteGround. Siteground has made it very easy to choose the perfect plan for their customers. They have 4 predefined plans which are named ‘Entry’, ‘Business’, ‘Business Plus’, and ‘Super Power’. On all of these plans, you’re getting 5TB data transfer. But, the difference is on the CPU Cores, Memory, and Storage space. So, depending on your needs, you are free to choose the perfect plan for you. But, that is not all. You know what’s amazing about SiteGround is that you can create your own plan while getting a cloud hosting plan. Yes, you can customize all of the 4 plans depending on your own needs. 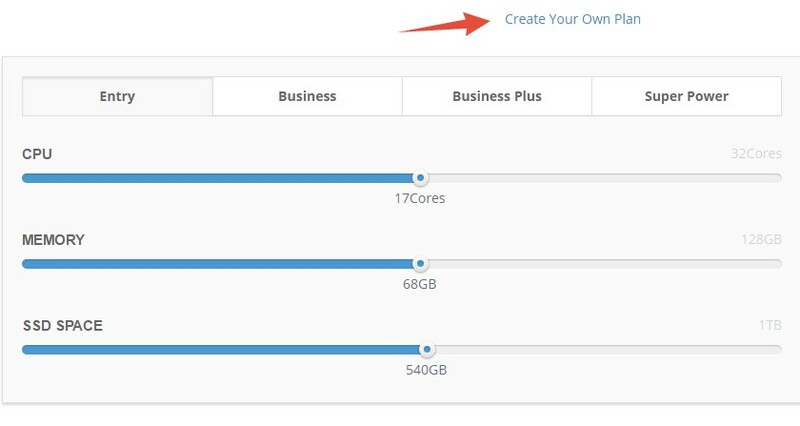 You have the option to get up to 32 cores, 128 GB RAM and 1 TB SSD storage space for your website. Usually, you won’t need that amount of resources to run a normal website. Siteground kept those options for you. So, you can be as flexible as you want while choosing your custom hosting plan. To be noted, the price of the plans will change depending on the plans. And, you won’t need to set up the system. They will do it for you for free. Even they will manage all the pre-installed software which are very crucial to your servers. So, you won’t have to be techy to use cloud hosting of SiteGround. The pre-installed apps, OS and software’s will use 10-13 GB of your server storage. So, keep that in mind while choosing your plan. Who should choose the SiteGround cloud hosting plan? This is a great question. And, there’s not any straight answer to this question. So, we will try to explore the options and come to a decision. First, there is no restriction on choosing this hosting plan for anyone. So, everybody can choose this. The first thing to take into consideration is its price point. Among all other hosting plans, cloud hosting tends to be pricey. So, if you have a small website or just starting out then you should not go for this plan. However, if you don’t have any budget-related problem and want to satisfy your visitors with an amazing performance from your website, then you can choose the cloud hosting plan. On the other hand, if you have a big website which receives a lot of traffic then your best bet would be cloud hosting. Again, if you are starting a small project which you won’t use for a lot of time but want to get the best performance then you need cloud hosting. If you have an enterprise website, you should turn to cloud hosting as soon as possible. Here’s another important thing, if you have a website which is growing rapidly. Then you need to use this type of hosting. Let’s say, you have a website which is growing rapidly and it is using a shared hosting at the moment. In this case, with the increase of visitors, your website will crash anytime soon. So, you will have to change the hosting plan and need to get another one. This is a big problem. And, if you keep using shared hosting, you will have to migrate from one hosting plan to the next one to keep up with the number of growing visitors. But, you can keep yourself away from that hassle by using cloud hosting. As you already know cloud hosting is scalable, you can adjust the resources on your hosting plan on-the-go depending on the situation of your website’s traffic presence. And, last of all, if you are not a professional or a techy person, you can choose SiteGround cloud hosting. As all of the required maintenances will be managed by the SiteGround team. 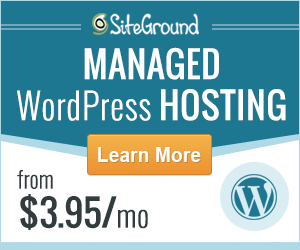 And, if you are a website owner who wants flexibility while choosing the plan, you would love SiteGround cloud hosting. There are plenty of CMS (Content Management System) or applications out there. But, not all of them are used much. In contrast, some are very popular with the website owners. Let’s cut to the chase here. Siteground cloud hosting is great for all of the most popular applications. And, they are fully optimized for all the popular CMSes. But, you can host any applications using the cloud hosting system. There are no restrictions. But, as some applications are more popular than the others. They have their priorities sorted out. They have special support for the applications like WordPress, Magento, Drupal, and Joomla etc. SiteGround has some awesome plugins and add-ons for all of these applications. For instance, you have cache plugins like the ‘SuperCacher’ for all the mentioned CMSes above. Using that cache plugin, your website will be faster than ever. You have the ability to install all of these CMS with only one click. And, all of the applications will come with Git integration. You will have the master control for all of these popular CMSes too. And, wherever possible, the auto-update of the applications are enabled by default. So, you won’t have to worry about updating your CMS from time to time. Along with these features, you will get all the necessary tools to keep your website secure. So, all in all, it turns out that SiteGround cloud hosting can be very useful for most of the popular applications. You already know that SiteGround allows you to choose your desired amount of resources while you get an account with them. But, even after that, you can customize your plans. You can add more resources to your plans which will reflect on the performance of your website. And, another useful feature is the ‘Auto Scalability’. Using this feature, your website will draw its required resources without hampering the performance. Your servers won’t have to reboot so that your site won’t be down for even a moment. Siteground uses SSD (Solid State Drive) on all of their servers. You know that it is superior to HDD. For instance, SSD can improve the load speed of a website by 20 times. Added to that, SiteGround uses very lightweight ‘Linux containers’ to give your website the edge on performance. You don’t have to worry about managing the servers or even the software. SiteGround team will take care of that. You don’t even need to set up it for the first time. They will do it for free of cost. So, you will have the freedom to use your time to improve your website contents instead. You know the importance of taking backup of a website. But it is more important while you are using a cloud hosting. Because most probably, you have a big website with a lot of contents on it. Or else, why would you use cloud hosting in the first place? And, SiteGround knows that well. That is why they have taken care of this too. For your convenience, they keep 7 off-site back-ups of your website for 7 consecutive days. So, you won’t have to use any additional backup tools to spend extra money on. Whether you know it or not, the location of the servers can impact the performance of your website in several ways. Keeping that in mind, SiteGround allows their users to choose the location of their preferred datacenter. They have 4 data centers located in Singapore, USA, Netherlands, and London. So, you can choose the one nearest to the majority of the visitors to your website. That will give your visitors to have an excellent experience in browsing your website. Siteground allows you to integrate CDN to your hosting account. Using CDN (Content Delivery Network) is a great way to maximize the performance of your website locally and internationally. You can use free (Cloudflare) as well as paid CDN services along with their cloud hosting service. Now, let’s know about the features of SiteGround cloud hosting. 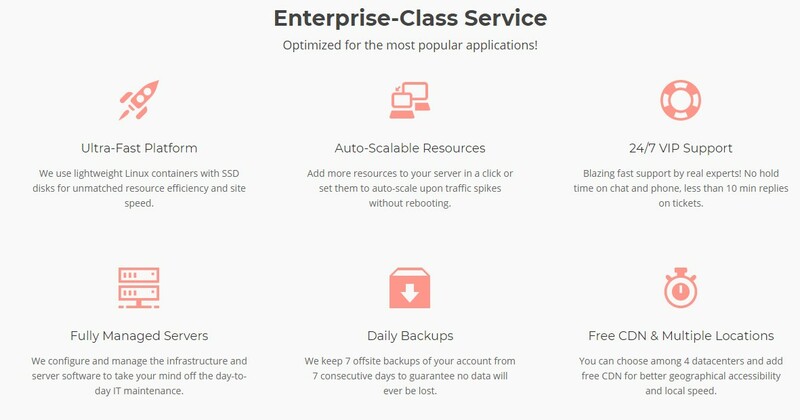 Siteground cloud hosting comes with some awesome features as well. It includes all the features of normal hosting plans such as cPanel, Softaculous AutoInstallers, Free SSL certificates, MySQL 5 & PostgreSQL, Mail server etc. You will not only have the latest version of PHP but also will have access to 5 different versions of PHP. Apart from the general features and tools, they include some advanced tools for free of charge such as IP tables firewall, Private DNS Server Setup, Free dedicated IP, SSH Access, and Email Spam filtering. And, you also get access to WHM (Web Host Manager) which allows you to access the back end of cPanel. You will also have web server software like Apache, Nginx & CentOS with the cloud hosting plan. Along with that, all the necessary OS (Operating System) will be pre-installed too. Now, let’s try to find out if SiteGround is really up to the mark. It’s a good idea to put the web host providers to test even before getting an account with them. So, keeping that in our mind, we will now run a test on SiteGround. But, prior to that, we need to find a website which is already hosted in SiteGround. So that we can get the most precise result about SiteGround from the test. As a matter of fact, this website (ReviewPlan.com) is hosted on SiteGround. So, we can test our website. This time, we will be using the Pingdom speed test. So, let’s learn more about this test. Pingdom is a popular website which has 4 test servers all around the world. Using those servers we can find out the loading speed of our website from different parts of the world. That way, we will come to know the quality of our website as well as the quality of SiteGround. As SiteGround is our hosting provider, so the speed and performance of our website partially depend on them. For this test, we will be using 2 of the test servers. The first one will be the California (USA) server, it will show you the performance of Pingdom for the readers of the USA. To be noted, our website is hosted in the USA (Chicago) server of SiteGround. And, the second one will be the Stockholm (Sweden) server, it will be for the European visitors to our website. So, let’s go. From the San Jose server, our website was loaded in 829 ms. As you might already know that, the standard load time of a website is around or below 2 seconds. In that case, you can see that our website has done well. It is also saying that our website was faster than 92% of the tested websites in Pingdom. And, we have achieved the ‘A’ grade on ‘Performance grade’. This is the highest grade. That is a good sign about SiteGround. In this case, we are seeing that our website performed better than the previous test. Here, our performance grade is ‘A’ and we got 90 out of 100. And, most importantly, the load time of our website was only 685 ms. That also implies that ReviewPlan.com is faster than 94% of websites that were tested in Pingdom. On both of the tests, our website took a lot less time compared to the standard load time. We know that it’s better if your website loads faster. So, you can see and assess the performance of SiteGround yourself. Prior to choosing a hosting service, you should look into their uptime record. It is one of the most important factors of a hosting service. Now, whenever you are going to research a company’s uptime record, the most common thing is to check on their website. Probably, you will go to their website and see that they are telling that they have 99% uptime record. Actually, it is obvious. Because the industry-standard uptime record is 99%+. So, every hosting companies brag that they have the industry-standard uptime. However, that is not the real case at all. Turns out it is exactly the opposite. So, you should not believe their advertisement. Instead, you can learn about them from a real user who has been using the service of that particular hosting provider for a while. So, as we have been using SiteGround for a long time, we have been accumulating the uptime stat of our website. And from that data, you can come into conclusion by yourself. So, here you go. This is the latest uptime record of ReviewPlan.com. We also update it regularly. So, you can come back anytime to see the updated stat. Now, from the above image, we can see that SiteGround has managed to keep 100% uptime almost always. In some odd occasions, the uptimes were below 100%. Yet, it was always higher than the industry-standard of 99% uptime record. So, you can put your trust on SiteGround. The uptime will be even better for the cloud hosting user. Because, they have taken multiple precautions for their cloud servers. Among them, the pro-active server monitoring system is noteworthy. With the help of this, they can detect the problems on the servers the moment they occur. So, they can start solving them as fast as possible. Another useful but amazing feature of this system is that, it can also predict some critical problems even before they start to take place. This way, they can get to work to prevent these server sided issues from occurring. 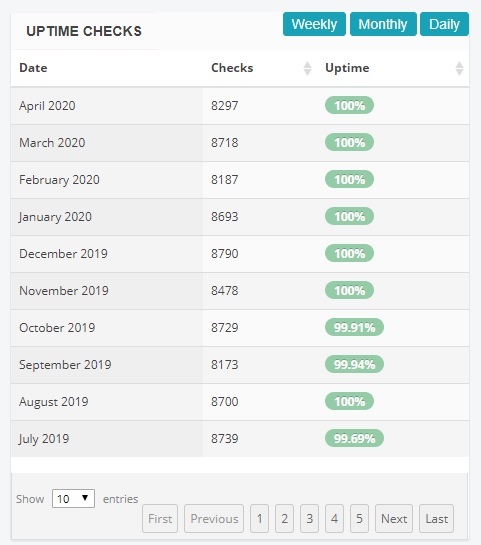 All in all, we should conclude by saying that, SiteGround has one of the best uptime record among the web hosting companies. Until this point, we have explored the ins and outs of SiteGround’s quality and service. But it will be an incomplete post if we put it off right here without discussing about the customer support of SiteGround. So, for you, we will share our experience with them. In short, they have one of the best customer support teams in the web hosting industry. They are not only professional at their job but also very helpful to the customers. As you know we have been using SiteGround for a while, we have needed to knock on their door from time to time. Luckily, there is not a single time that we weren’t greeted promptly. Here’s a good news for you. If you use their cloud hosting service then you will be one of their VIP customers. That simply means that you will have the highest priority while contacting to them. Now, depending on your emergency, you can choose the method you want to use. And, if you happen to be from any of these 4 cities (Alexandria, London, Madrid, and Sofia), then you are in for a treat. Because SiteGround has their offices on these cities. So, you can directly show up on their office as well. Wrapping it up: should you use SiteGround cloud hosting? By this time, we hope that you have gained much knowledge about SiteGround cloud hosting. We have tried our best to let you know the ins and outs of this particular hosting plan. From the analysis and dissection above, we can say that it will be a perfect decision if you go with SiteGround cloud hosting for your website. You have seen that they have various features and services which are critical for cloud hosting. And, most of them are just free of charge. And, if you are getting a hard time managing your website then you will love cloud hosting. As the server sided maintenance will be taken care of by the SiteGround team. There are a lot of tech giants like Google, Dropbox, Amazon etc. have moved to cloud hosting a long time ago. So, if you have a promising and heavily-visited website you should follow their path. And, if you happen to look for getting cloud hosting then SiteGround is the best out there. It is not a random suggestion from us. We can back up our claim because we are using SiteGround to host several of our websites and we are pretty satisfied with them. We believe in your case it won’t be any different. SiteGround has been offering all kinds of web hosting services ranging from shared hosting to different custom-made enterprise hosting. Among them, cloud hosting is one of the most popular ones. In case, you are seeking for a review of SiteGround cloud hosting, you are at the right place at the right time.